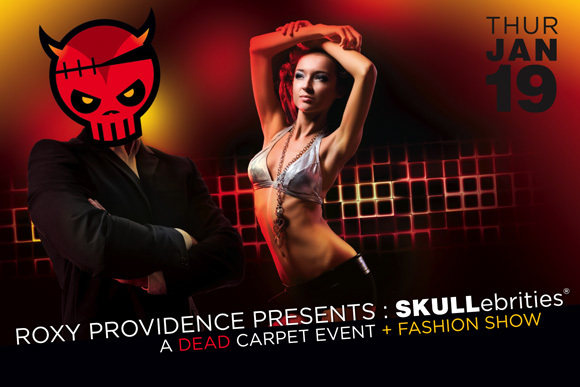 Join us Thursday, January 19th at the Roxy Providence as we roll out the Dead carpet and introduce some of our latest designs. 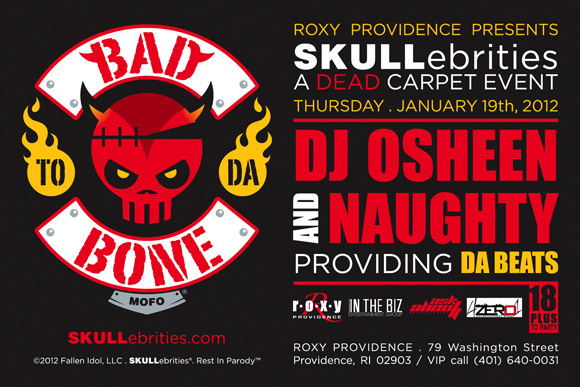 In true fashion, SKULLebrities will be bringing the normal chaos while the sickest beats in the city will be provided by DJ Osheen and DJ Naughty. Dress to Impress, this is an 18+ Event.